With a body of work that's over 40 years deep, Alberta painter Chris Cran is a towering figure in Canadian art. With a body of work that's over 40 years deep, Alberta painter Chris Cran is a towering figure in Canadian art. 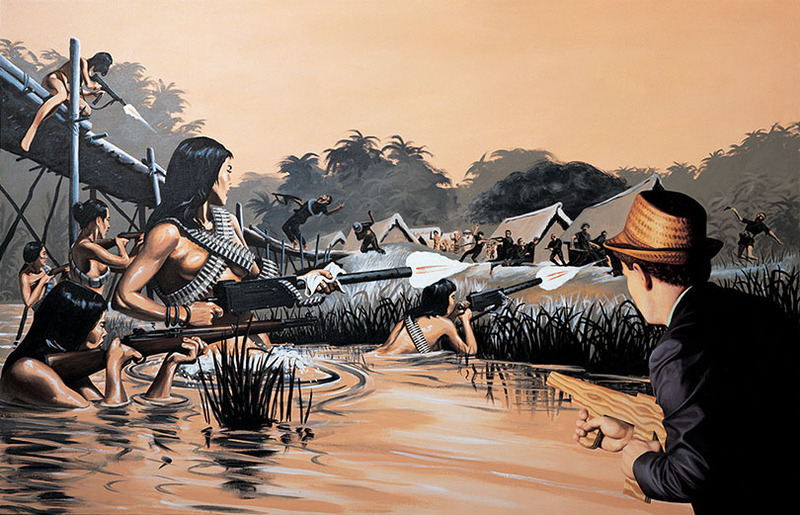 His paintings are thought provoking, challenging and decidedly oddball, rife with visual trickery and wry pop-culture references (his Self-Portrait With the Combat Nymphos of Saigon looks like a scene from a wacky '70s B movie). Now, the Art Gallery of Alberta is exhibiting the most thorough examination of his work yet in a sprawling retrospective. It's a show that will appeal to a wide variety of tastes, because Cran is a stylistic chameleon. Over the decades, he's taken in elements of Pop Art, Op Art, photorealism, abstraction and more; he has been compared to German pop artist Gerhard Richter, and he was once called "the most significant figure to emerge in Canadian realist painting in a long time." For those unable to see the show in Edmonton, this extensive survey of Cran's work will also be exhibited at Ottawa's National Gallery of Canada in May 2016. Chris Cran: Sincerely Yours, Art Gallery of Alberta, 2 Sir Winston Churchill Sq., Edmonton, Ab.. Sept. 12 to Jan. 3. $12.50; $8.50 students,seniors; Free to members, children under 6. (780) 422-6223.